It’s January and that means driving on snow and ice covered roads. Driving to meet the road conditions is critical for safety, but even then you can find yourself in a hazardous situation. Here are some tips if you find yourself in an uncontrolled skid on snow or ice. Keeping your foot on the gas pedal keeps your tires spinning and that’s the last thing you want in a skid. Vehicles are equipped with anti-lock brakes(ABS) so slamming your foot on the brake pedal won’t necessarily help you stop. Driving experts advise motorists to gently “pump” the brakes and this triggers the ABS to safely lock your brakes. When in a skid in an all wheel drive or rear wheel drive vehicle, steer into the skid. This means to turn towards where the back of the car is sliding. Your instincts will tell you to steer this way to correct it. For front wheel drive vehicles, keep the steering straight. Go against your instincts and gently accelerate – to regain control. Over-reacting by wildly turning your vehicles will only make you spin faster. Stay calm and smooth to help regain control of your spinning vehicle. 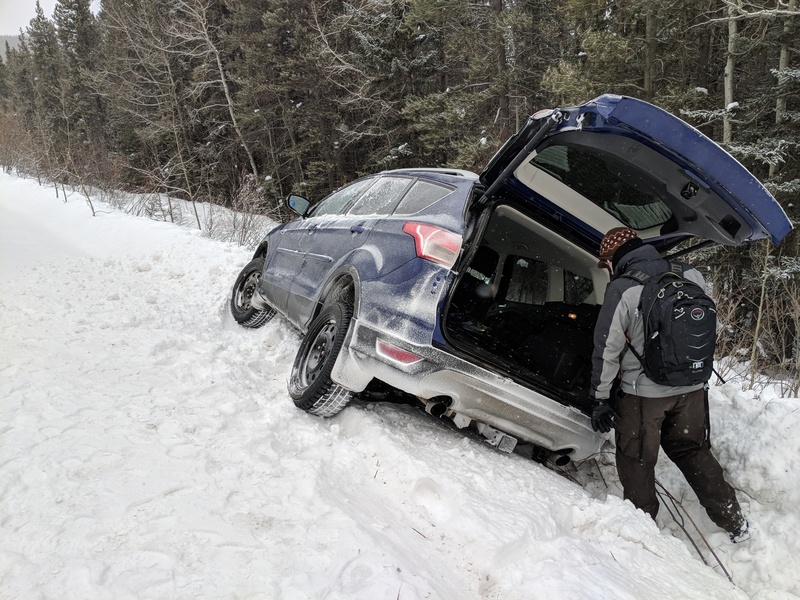 Remember, equipping your car with good winter tires and reducing your driving speed are among the best ways to avoid a skid in the first place.